FIFTY SHADES OF Grey author ignored all the things she most likely knows about the nature of the internet, and decided to do a Q and A on Twitter this evening. Good luck escaping that one, ever. #AskELJames What's the minimum distance you have to stay away from Stephenie Meyer at all times? #AskELJames How many times a day do you think Charlie Hunnam just laughs with sheer relief? #AskELJames Were you watching Dexter when you wrote the scene where Christian buys stuff at the hardware store Ana works at? For #AskELJames I reckon we should all send questions written in the third person, then the same ones again from a different point of view. #AskELJames What is the airspeed velocity of a laden swallow? #AskELJames Do you have any idea of how dangerous your so-called book can be ? Most start with "why" and end with the implacable howling of the damned. So… will she actually answer any of the questions? Get the popcorn poppin’. 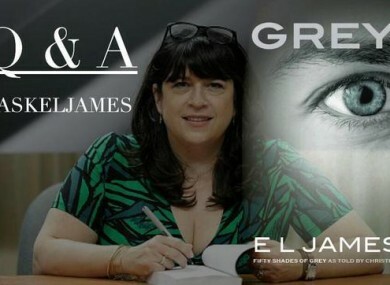 Email “Fifty Shades author EL James is doing a Twitter Q&A and it's going as well as expected”. Feedback on “Fifty Shades author EL James is doing a Twitter Q&A and it's going as well as expected”.